That's just in the village. This is the view from the windscreen of a land rover. The vast whiteness in front of you is the main road into the village from Whitby. 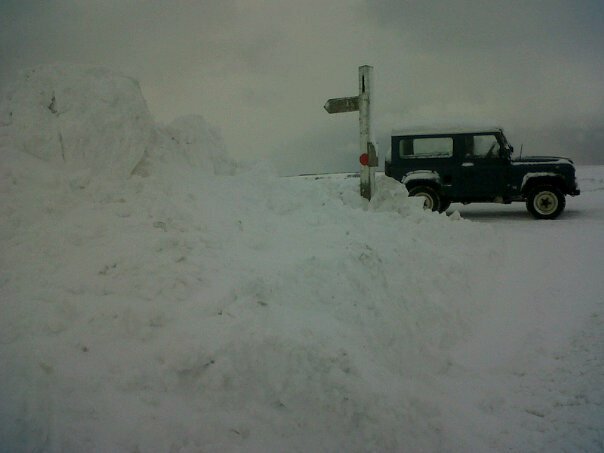 And this is the land rover on the main road into Goathland at the junction to the hamlets of Beck Hole and Green End (that's where AW lives). 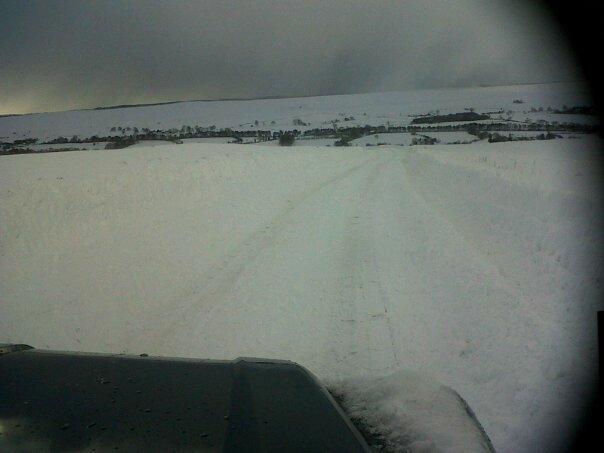 Since then the wind has blown quite a bit more and lots of has fallen, yesterday we measured the depth on the road at 40cm, now it's over 50 (about 18 inches, but we have metre ruler not a yard stick! ).